A season jam-packed with international headliners and now just four dates remain. It feels like only yesterday when Ibiza's cherry world re-opened its doors after a swanky new refurbishment. Now here we are, at the end of what's been a truly historic summer for the tantalising super club. With a reputation as one of the jewels of Ibiza's clubbing scene crown, Pacha concludes its summer season with a quadruple-date bonanza of closing party mayhem. Tissues and recovery multivitamins at the ready, as by the end of this week the clubbing season in Ibiza will have come to an end - at least for the summer. The countdown to your winter detox is on. Say it isn't so! 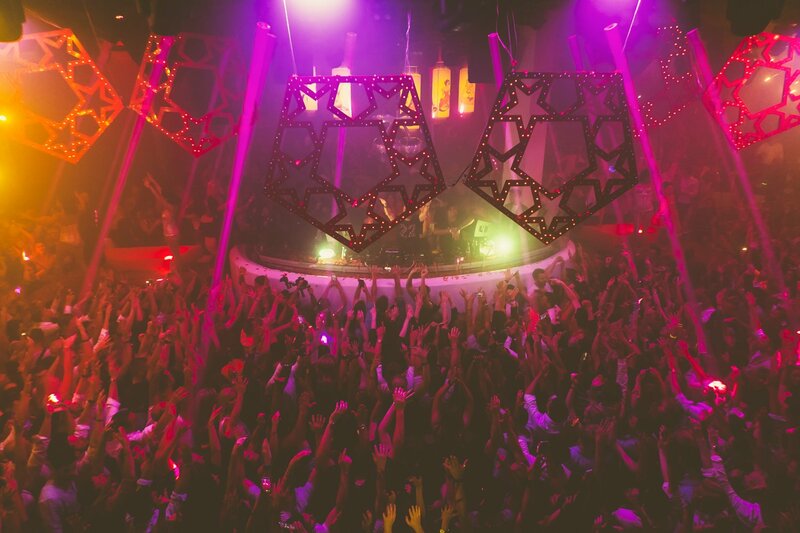 Read on for all you need to know about the Pacha Ibiza finale starting on Thursday 11 October through until Sunday 14 October. Here we go. Kicking things off on Thursday 11 October, German DJ and producer Robin Schulz will return to Pacha for another one-off event prior to his gig at the start of the season in May. After attacking the party with chart-topping tunes like Sugar, it's a pleasure to see Robin Schulz back for the finale dates at Pacha to provide the very best feel-good tunes and singalong classics. Aside from having his own night, Robin is no stranger to the wild Ibizian Thursday night crowds having joined David Guetta's F*** Me I'm Famous parties across the season. Hugel, Alle Farben, Sylvain Armand and Danny Wade will complete the line-up. Things are going to get wild and as the first of four fantastic finale dates at Pacha this party prepares to start as a means to go on: energetic, spectacular and unforgettable. It was all the way back on Friday 25 May when party-starter Hot Since 82 welcomed Labyrinth back for a second season on Ibiza. Now, after 20 incredible electronic extravaganzas, the final bash of the season is here on Friday 12 October. Bringing the very best Balearic magic to Pacha for a final time, the line-up underpins Labyrinth's huge success providing some of the big names that have made the party throughout the summer. Taking charge of the momentous DJ booth in the middle of the dance floor, prominent performer of Labyrinth Matthias Meyer plays for a final time along with HAAi. One of the most talked about artists of the season, Adam Beyer will take to the decks for an almighty b2b with Ida Engberg that will be sure to have us losing our minds. And of course, the British tech-house master will round up another hugely successful summer with soundtracks sending us to a dreamland where Labyrinth never ends. Here are some of the best tunes played at one of our favourite residencies of 2018. The first single Buggin' from his forthcoming album 8-Track has seen house-heads bobbing vigorously on the dance floor. Hot Since 82 said that the influence from this track came from some early noughties house bangers that he loves. Guess what Daley, we love you. You will definitely need some medication on Saturday morning when nursing the hangover from this party. The pumping drums and anticipating build-up of this track make for a house music drop notable of dance floor highlights. We hope to see this tech house stomper dropped one more time. Star Wars breaks up any dance floor. Get grooving. If you want to have a listen to more memorable tracks of Labyrinth from this summer then turn up the volume and check out our Spotify playlist here. On Saturday 13 October, the French superstar Bob Sinclar is giving you a final chance to be transported to Pure Pacha | Paris By Night for an evening of sizzling sass and explosive dance music at one of the sexiest residencies of the Island. Ooo la la. This party is the ultimate end-of-the-week (and now end-of-the-season) jolly for not only holidaymakers but the locals, too. For a step away from hard-hitting techno, Paris By Night brings a diverse range of DJs to the decks to provide only the best feel-good tunes. For the exciting glitzy finale, 2manydjs, Todd Terry and Lunnas will return to the cabaret show after providing us with some of the greatest rhythmic dance hits throughout this year's residency. Having brought in a rocketing number of attendees for the fourth year in a row, this party will no doubt shake your socks off with its flamboyant production and ear-deafening crowd cheers. Take a listen to this glorious live steam from week three. I guarantee your feet will be tapping their way to the front of the queue on Saturday for a final sashay under the luminous Eiffel Tower. It's been another busy summer for the Diynamic boss this year. 14 October will be your final chance to see the German house heavyweight on the Island at the Solomun +1 closing party this Sunday. Standing firmly as one of the most unforgettable fiestas of the season, Solomun has made for many of my seasonal highlights bringing a top-class selection of techno royalty to Pacha on Sundays for some of the most insane back-to-backs you will ever witness. Dixon, Bicep, Âme, The Black Madonna, HOSH and Sven Väth are but a handful of talented guests to of rocked Pacha as Solomun's +1 for the evening. This Sunday, tech house duo Adriatique will complete the residency's programme as we prepare to dance the night away for one final time. Lose yourself in the hypnotic groove. Mainly be prepared to be taken on a meditative musical journey possibly the very best send-off to round up a spell-binding residency. Here's a little flavour of what went down last week when Bicep landed on Solomun soil and sent the cherry ravers into a frenzy. What a night. Who will remain on the dance floor until the last beat is dropped and the final fist pump is thrown? The best is often saved until last so make it count and enjoy every last second of dancing time in Ibiza at these grand finales this week on Ibiza.